Snail Farming in Nigeria Made Simple! Apostolic Church Primary School, Igbogi/Ikoyi Street, Ilesa. (First School Cert. 1970). *Appointed Lecturer II in 1994 and promoted Professor of Agricultural Extension and Rural Development, Federal University of Agriculture, Abeokuta (FUNAAB) in 2007. 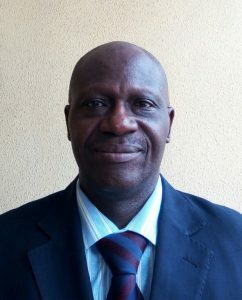 *Two-term Dean, College of Agricultural Management and Rural Development, (FUNAAB) (2009 – 2013). *Visiting Professor, Department of Agricultural Extension and Economics, Osun State University 2014-2015. *National Secretary, Association of Deans of Agriculture in Nigerian Universities (ADAN) 2012-2013. *Visiting Associate Professor, Kogi State University, Anyigba, Nigeria (2006 – 2007). *Principal, Leventis Foundation Nigeria Agricultural School, Ilesha, Osun State. (1993-1994). *Ag-Resource Person, Ag-Resource Unit, Department of Agricultural Education and Mechanization, Southern Illinois University, Carbondale, USA. (1990 – 1992). Participatory Agricultural Extension and Research; Group Dynamics; Technology Transfer; Rural Development/Sociology and Community Development. External Examiner to Northwest University, Mafikeng Campus, Mmabatho, South Africa; University of Ibadan, Nigeria;, University of Fort Hare, Alice, Eastern Cape, South Africa; University of Cape Coast, Ghana; and several other Universities in Nigeria. He has examined over 40 Masters and PhD theses; and assessed 21 candidates for Professorial promotion. Prof. Apantaku has published over 60 Journal articles, 35 Conference Proceedings, 3 Technical Reports in International and Local outlets. He has travelled to most parts of the world. He is also a member: Agricultural Extension Society of Nigeria; Rural Sociological Society of Nigeria; African Forum for Agricultural Advisory Services; Global Forum for Rural Advisory Services. Anonymous on Snail Farming in Nigeria Made Simple! Godfery Onagwa on Snail Farming in Nigeria Made Simple! Nigerian farmers on Snail Farming in Nigeria Made Simple!